Lesson 1: Consider the scale. The smaller the project area, generally, the less carbon available to sell. Larger-scale REDD+ projects provide more revenue and have greater conservation impact so are more cost-effective in the long run. Lesson 2: Co-benefits are important. With prices on the carbon market low, “Communities won’t get rich off of carbon,” says AWF’s technical director for climate change, Dave Loubser. AWF therefore uses the REDD+ framework to stack other benefits on top of the sale of carbon, such as helping to improve farming techniques to produce greater yields… so benefits increase beyond simply the sale of carbon offsets. Lesson 3: Emphasize community payments. AWF is stressing the need for carbon funds to go into community conservation projects, thereby multiplying the impact of our REDD+ efforts. 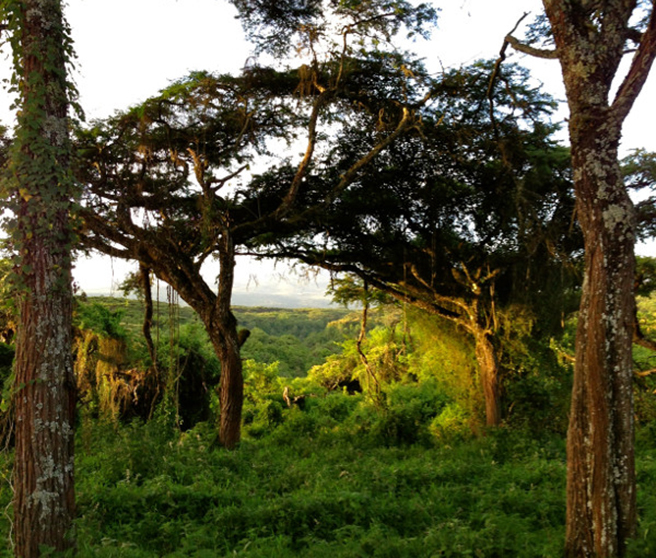 AWF is at various stages of REDD+ in southern Kenya, north–central Tanzania and in the Congo landscape.